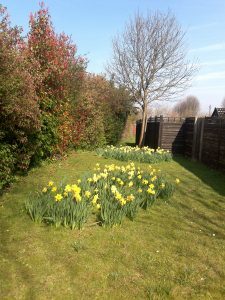 Spring has finally arrived bringing with it brighter days, sunnier skies and a sense of renewal. This time of year, is a great time to envision endless possibilities and the opportunity to grow. We have lots of new developments and positive stories to share with you, including an opportunity to expand our support services to North Yorkshire, while enhancing our specialist support programme in Sheffield. 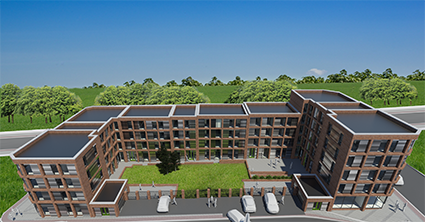 The year ahead is also a time for evolving our existing Purbeck Court Scheme in Bradford, with planning approval to build 7 new accessible flats and an on-site, customised support facility. Our not-for-profit company; renovating disused properties and transforming them into quality accommodation, which includes housing-based support for vulnerable people at risk. Any profit or surplus’ generated are reinvested back into Impact Living’s social and charitable work. Our sister charity; providing personalised extra care, specialist support and respite to people with complex mental health needs as well as chronic medical conditions or terminal illness, including cancer. 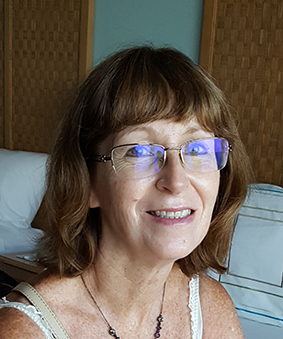 Jean is a registered midwife and nurse with extensive clinical experience in clinical and managerial roles. She became a lecturer practitioner in 2006 and a full-time lecturer in 2011. She has a keen interest in mentorship and preceptorship and this was the focus of her MSc research. She has had several related publications and also presented at the NET conference (2015) on this subject. We are confident that Jean’s clinical background will ensure that all our support staff are delivering quality extra care, enforcing good practice and high standards. Michelle has been working for Bradford District Care NHS Foundation Trust for over 10 years. Michelle will help us to continuously improve the support service for those with more complex needs. Nigel Delaney, Impact’s CEO and founder has over 25 years’ experience in leadership, project development and successful delivery of support services to vulnerable people. Nigel started Impact 20 years ago in a response to a great need for support of vulnerable people within a local community. Impact Livings’ service has expanded and now covers several different communities nationally. The issues that affect the communities that Impact works within are the same as they were when Impact started, however we have made a huge difference to thousands of individuals from those communities. 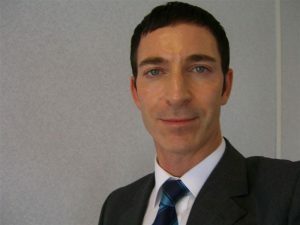 Nigel is driven to improve Impact’s service and to make a difference to the lives of as many individuals as possible. Mark has been a committed member of the Impact Living support team since 2008, providing support to vulnerable clients with mental health and complex needs. 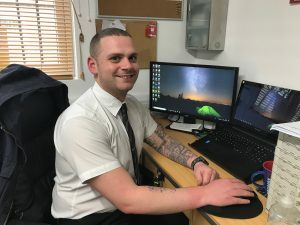 After dedicating 2 years of volunteer work as Trainee Support Worker, Mark’s natural progression lead to a full-time employment role as a Housing Based Support Worker in 2010 and after demonstrating a high level of integrity, ambition and quality leadership skills, he was promoted to Housing Manager in 2014. During our charity board meeting, it was decided that Mark would be the most suitable candidate to fulfil the role of Care, Quality and Service Manager; to oversee the support service of those who require extra care and self-directed support. Mark has been provided an interim role as Care, Quality and Service Manager, to enable him the opportunity to become sufficiently qualified for the role. He is currently in the process of completing a City and Guilds Level 5 Diploma in Leadership for Health and Social Care and holds a CQC DBS. 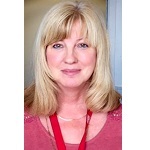 Sharon has 30 years of experience of providing exceptional customer service and has dedicated the last 15 years overseeing the recruitment, selection and professional development of all staff, trainees and volunteers within Impact Living. Impact Living is a very people centric organisation so it is important to recruit the best candidate for each role. They must both work well within our tightly knit team and also do an exemplary job so that we can provide the best possible service to our clients. It is the Human Resource Manager’s job to ensure staff are given the correct tools to fulfil their roles and that they are happy and performing well in their duties, while ensuring all policies and procedures are up to date and being met to an exceptionally high standard. We would also like to welcome some new faces to our finance and support teams. Rebecca has worked in Finance since the age of 16. 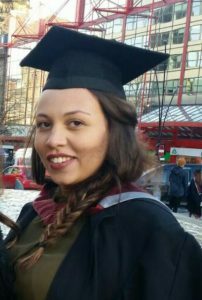 She attended Bradford College and completed a qualification in AAT. Rebecca was introduced to Impact Living through our Finance Manager, to oversee the Rents and Benefits of particular schemes, as well as to assist her in accounts processing. Rebecca will continue to progress and take on more responsibility as Impact Living continues to grow. 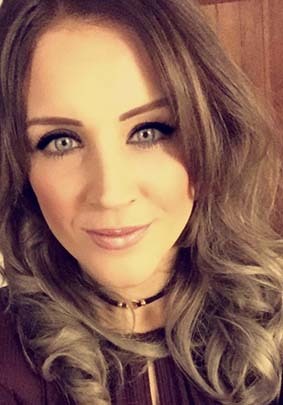 Olivia has recently joined our Sheffield Specialist Support team. Olivia has an array of experience working in various Mental Health settings, including; working as part of the Hospital Discharge Team, carrying out mental capacity assessments, assessments of patients’ needs prior to being discharged from hospital and into the community as well as chairing best interests’ meetings with other professionals and patient family members. Olivia has supported adults with mental health, learning disabilities, Asperger’s and Autism as well as had experience in Social Service’s Fostering Team. 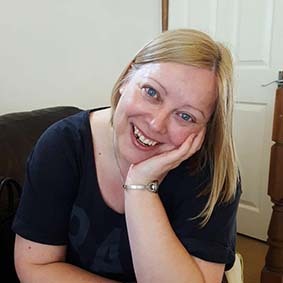 Her MSc in Forensic Mental Health and Diploma in Health and Social Care will further enhance our specialist support services, enabling us to improve the needs assessments and support of those referred to us. 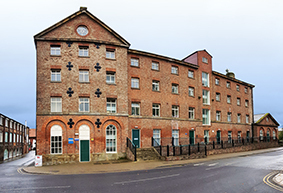 We have a new and exciting opportunity to purchase a former Cornmill in Malton; a grade ll listed property, consisting of 34 one and two-bedroom apartments. Develop a custom-built, on-site support facility, which will encourage community engagement and offer; general housing and benefits advice, health workshops, breakfast club, coffee afternoon, social activities as well as 24/7 emergency support, security and maintenance service. Provide employment, traineeship and volunteering opportunities to local members of the community. The scheme will also offer affordable accommodation to those on low income, young adults, single parents, professional couples, families and older people as well as those who require general housing-based support. We’ve been working closely with Yorkshire Housing, Ryedale District Council and the local community, we’ve met with Kim Robertshaw, Cllr Stephen Arnold and consulted with residents, who all support our plans for the new scheme. 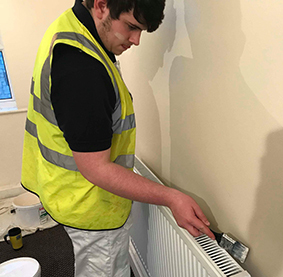 We hope to launch The Cornmill scheme in the Summer and will be recruiting local support workers, maintenance workers and apprentices within the next couple of months. We have now widened the age group of those we are able to support and would like to make a significant contribution in supporting people who wish to remain in their own home as they get older. We recently bought a new scheme in Heaton, Bradford, which already occupied a number of clients over the age of 50, to prevent this from being bought by landlords who have little or no experience of providing support services to those who need it most. 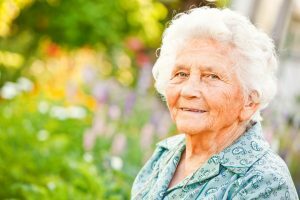 The majority of the residents are still very independent however as they continue to age, they become frailer and may fear life changing events, such as physical illness or changes to mental well-being, which may force them to move to a care facility. We have worked together to agree a suitable care and support service, enabling them to live in their own homes as independently as possible with as much choice and control as possible. Due to an increasingly ageing society, we have been researching innovative European concepts of longer term housing such as lifetime homes and lifetime neighbourhoods. We’ve also been finding out more from the HAPPI panel, about good practice for housing people who wish to live independently, within their own home, as they grow older. We’ve been communicating with experts in designing and commissioning extra care housing in the North East, to enable us to explore the possibility of building new specialised housing which meets the needs and aspirations of the older people of the future. We had the pleasure of being shown around Abbeyfield Hope Bank View, an Extra Care scheme based in Sunderland. The tour was very insightful and provided us with lots of inspiration. 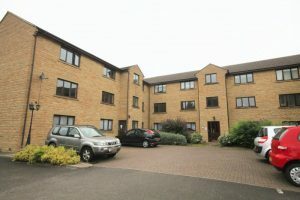 Although the concept of extra care housing is aimed at older people, it can be applied to younger people, who require independent living with care, due to their changing physical and mental health needs. This offers the ideal setting, to accommodate a combination of generations, creating an inclusive and better-connected community, in an environment, which feels safe and supportive. Since researching Lifetime Homes, we are working closely with the long-established Time Architects, who have a wealth of experience on heritage and new builds. Time Architects are helping us take one step closer toward our vision of creating a scheme which meets the needs of individuals, enabling them to live independently and remain in their own home as long as possible. Together we have designed a new, improved support facility and affordable eco-friendly housing designed for people who wish to improve their quality of life physically, mentally, emotionally and professionally. The Impact Living Centre will enable us to improve the quality of support for our clients. It will expand the number of people we can help and also allow for a greater diversity of service and wider community engagement. We will replicate our Greaves Street Scheme’s model of support, incorporating an on-site safe space and drop-in facility for those who require specialist support for their complex needs as we strive to continually improve and grow. We’ve submitted our proposal and met with local Councillors; Cllr David Warburton, Cllr Sarah Ferriby and Cllr Rosie Watson who are extremely supportive of the scheme going forward. At Impact, we are delighted to give credit to our staff members who reach new levels of achievement through our Personal Development programme. We would like to congratulate our maintenance apprentices; Damien, Jayden and Harry, on completing the first stage of their Level 2 Construction Maintenance Course. We wish you Good Luck in passing your final stage this Summer. Good Luck to Care, Quality and Service Manager, Mark Mitchell, on completing and passing your Level 5 Diploma in Leadership for Health and Social Care this summer too. Well done to all our support staff who have recently completed certificates in Medication Administration Level 2 and Mental Health First Aid Training. Special thanks to Skills for Care, City Training Services, Brightening Minds, SVT Vocational Training and The Care School Ltd for the opportunities you have provided to our staff and trainees. 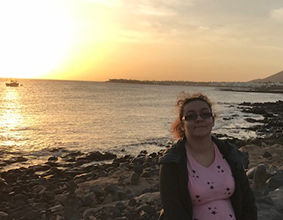 Over the last 12 months, we have been providing regular memorable activities and short breaks for Justeen, who has given us permission to share her story. These activities have enabled Justeen to build positive relationships, while providing respite during stressful periods. Justeen lives in our Sheffield scheme and receives extra care for her mental health and complex physical health needs. Justeen spent the majority of her teen years and early adulthood living on the streets before being admitted to hospital due to her decline in mental health. 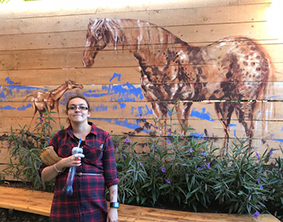 Justeen came to live at Impact Living in June 2013 and this has been the longest time she has sustained a safe and stable home, with the intervention of a full support and care package. 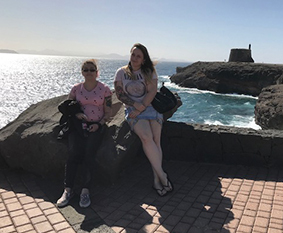 In November, with thanks to Inspiration for Life’s generous donation, we were able to fulfil a long-awaited wish of Justeen’s; a holiday to Lanzarote. Justeen thoroughly enjoyed the break away, particularly her visit to Rancho Texas Animal Park and watching the sunrise early one morning. 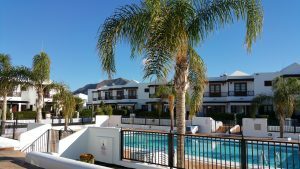 The holiday provided Justeen with an all-round unforgettable experience, filled with laughter, friendship as well as time to relax. 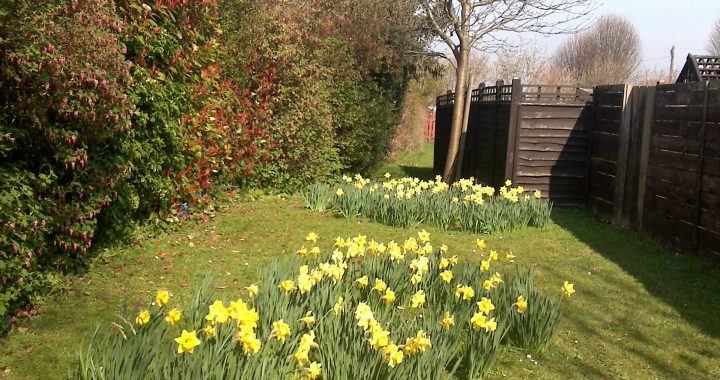 As a charity, offering the opportunity of a relaxing respite break is a vital part of what we can offer to those affected by chronic, physical, mental and emotional health issues, as well as terminal illness. A respite break can have such a positive impact on the person and their family, providing meaningful and memorable experiences, which may help rehabilitate them back to better health. We have recently received a referral from Weston Park Teenage Cancer Unit in Sheffield; an 18-year-old male who has been diagnosed with Synovial Sarcoma and is being treated with palliative care and who wishes to spend some quality time with his family, including his grandparents and three younger siblings. He is also hoping to have a big family holiday together with his Aunts. Over the coming months we hope to be able to fulfil this wish through fundraising with the family and through kind donations made by those who support our charitable work. The cost of the one-off trip is £2000, Impact Living has contributed toward some of this cost and we are looking to raise £1500. This spring marks the 6th anniversary of the annual fundraising event. 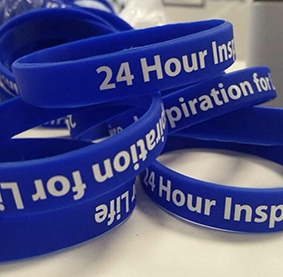 Over the years, Inspiration for Life has raised thousands of pounds for research into the treatment of cancer as well as toward supporting cancer patients through a selection of charities including Impact. The event is dedicated to Tim Richardson, who founded Inspiration for Life, and to Victoria Henshaw, a colleague from Urban Studies who died in 2014. We are extremely thankful, not only for the donations and funds raised but for the contribution made by all those involved throughout the event. Get your wristband on the door. Minimum donation of £10 (£7 concessions) will give you access to the full 24 hours of talks, and/or 24-hour board gaming, plus a complementary hot drink and bun from the tuck shop! If you really can only stay for one talk, your minimum donation will be £3. But when there’s so much going on, why not stay a bit longer, and check out the next lecture, listen to some live music in the foyer, or join in the board gaming? From early afternoon on the 19th the fabulous pop-up Radio Inspire will be broadcasting a mix of music, interviews, quizzes, and spoken word programmes. So, if you really can’t be there for the whole 24 hours, you can listen in from wherever you are. 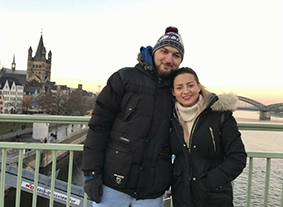 Carl, whose name has been changed for personal reasons, is a client living in our Sheffield scheme, with no family connection in the UK. 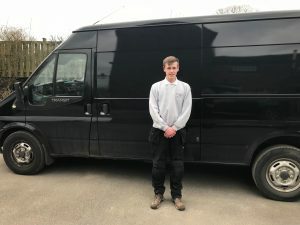 He was referred to Impact Living by the Weston Park Teenage Cancer Unit, Sheffield, after being diagnosed with a brain tumour and was at risk of being homeless. Carl has a terminal illness and requires palliative care. Carl has received radiotherapy and is now undergoing chemotherapy for 28 days, after which he hopes to have a short break away. Carl says that having his own tenancy has really helped him by enabling him to have his own space and Impact provides him with the peace of mind that he needs, knowing that there is someone there to support him each day. His personal support plan enables him to remain positive and hopeful. We are aiming to raise £800 for a break away for him to see his family.